A shower at sea should be an experience, and on this cruise ship, it will be. Onboard Royal Caribbean’s new Spectrum of the Seas, select guests will be able to indulge in a shower with “unparalleled water views” — because their bathroom is actually floating off the side of the ship with nothing underneath it. Guests who book the 2,809-square-foot Ultimate Family Suite will get a bevy of unique features, but the most eye-popping is the bathroom that juts out over the side of the ship. 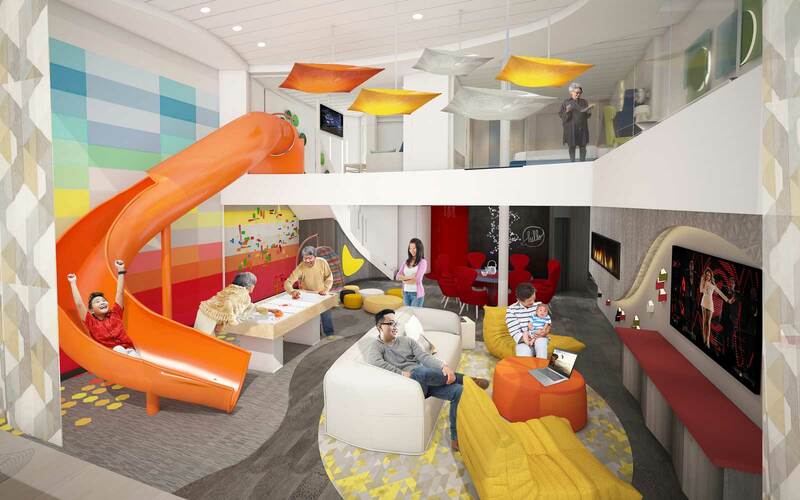 The two-level, three-bedroom suite can accommodate up to 11 guests, and features a slide for kids (or kids at heart) to get from the upper level down to the bottom. In addition to the floating bathroom, there’s also an en-suite recreation room for nights of karaoke, video games, or movie marathons. As always, this ultimate experience doesn't come cheap: Booking the suite for a seven-day sailing starts at $50,000. The Spectrum of the Seas will debut in Spring 2019 with cruises from Shanghai. 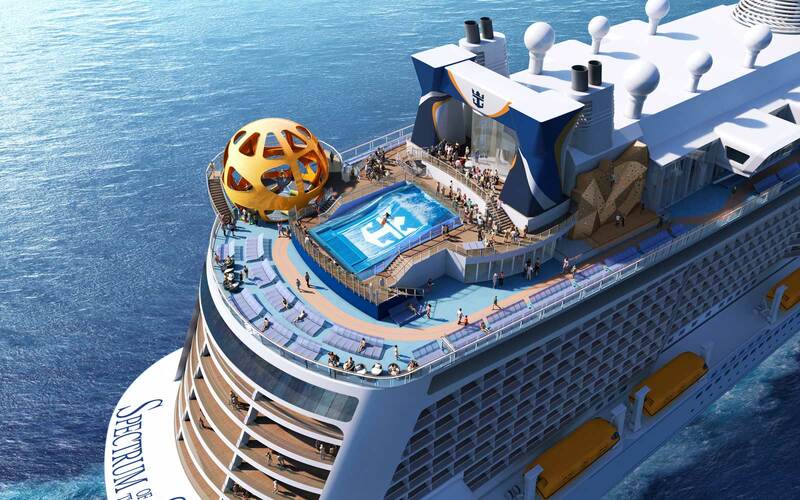 Royal Caribbean says the new ship — capable of carrying up to 4,246 passengers — will be the largest sailing in Asia. 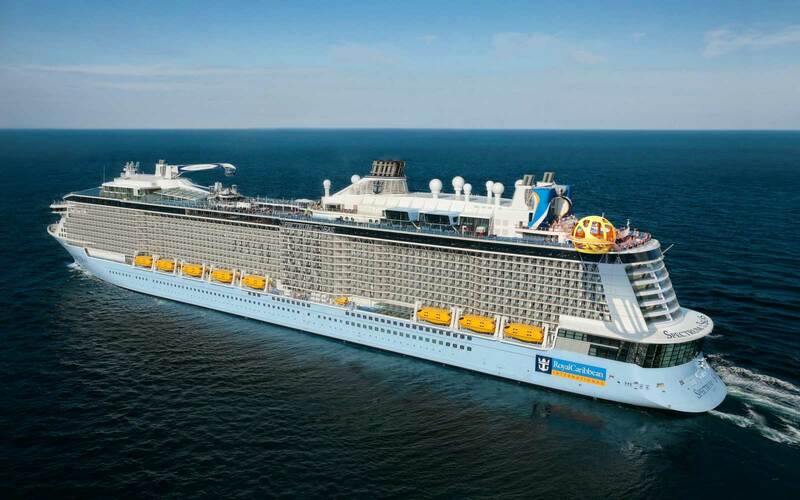 The ship is the first in Royal Caribbean’s Quantum Ultra class of ships. Other notable features on the ship include the Sky Pad, a VR bungee jumping experience, on the ship’s aft.